2057 SF end unit rancher w/fin bsmt & side by side dble garage & with many updates including: laminate flooring, updated kitchen w/tile flrs, white shaker style cabinets, updated baths and much more. Entertaining is easy in the living rm and dining rm w/attractive laminate flrs & cozy gas f/p and door to deck with stairs to the fenced rear yd. Den w/glass doors can dbl as guest bdrm. 2 pce powder rm on main for convenience of guests. 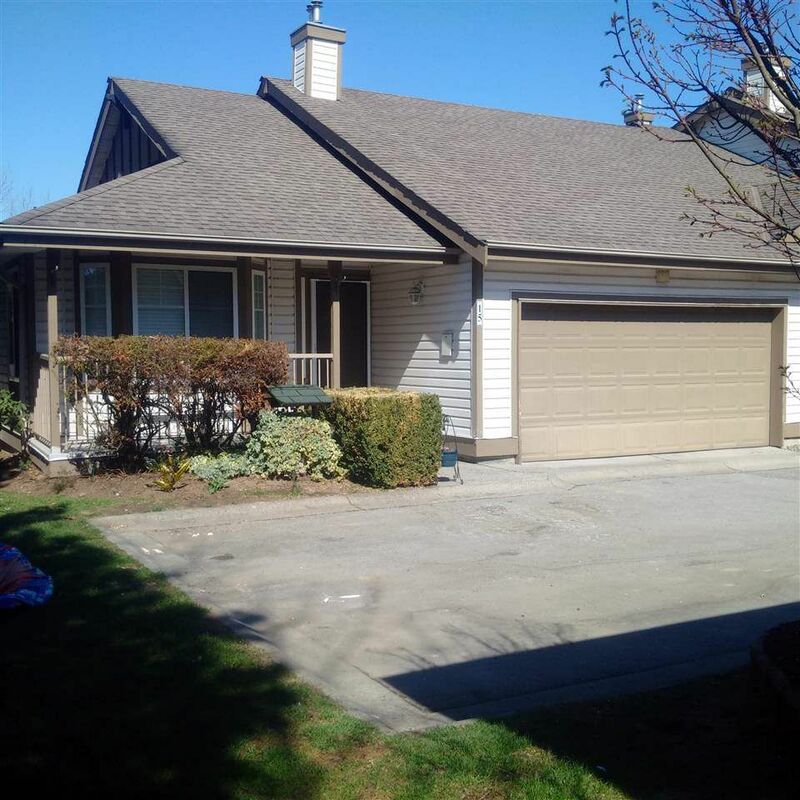 spacious mbdrm w/laminate flrs & 4 pce ensuite w/soaker tub updated tile tub surround & updated toilet. Lower level boasts rec rm w/laminate flrs, 2 bdrms, updated 3 pce bath and laundry room. Spacious rancher w/bsmt thse w/3 bdrms & den, 2.5 baths and side by side dble garage.